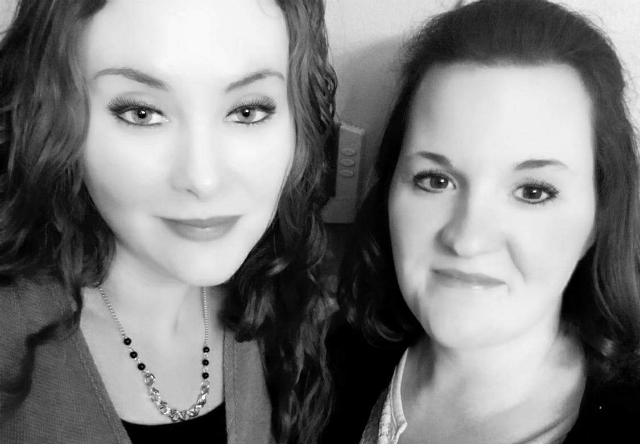 Bariatric Women’s Support (BWS) is owned and operated by Ashley Justice and Lesley McPherson. Ashley and Lesley are the group admins and they are assisted by four moderators: Val Guthrie, Melinda Parnell, Misty Gould and Melanie Montgomery. Founded in 2014, BWS has grown to an astounding 63,000+ members as of the writing. 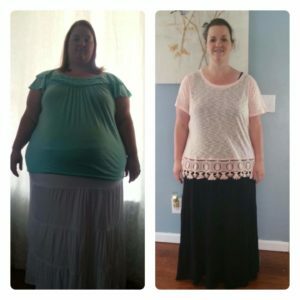 Lesley and Ashley are both RNY gastric bypass patients and have lost an incredible 303 pounds between them! Lesley before and after WLS. Ashley before and after WLS. What makes Bariatric Women’s Support different from other groups? At BWS we only allow women. During the time of our surgeries we found a lack of support groups that addressed women’s issues openly. We also found that sometimes it is hard to share a vulnerable photo of yourself knowing there is a male audience watching. We focus on bariatric health as well as women’s health as a whole. We see a lot of members dealing with reproductive issues that men do not deal with, and they feel more comfortable discussing them with other women. This all female group has also eliminated the “being hit on” aspect that is present in some of the other groups. We can openly talk about sexual issues or situations without the fear of what a man might say about the situation and our members find that comforting. We also support each other with emotional issues that arise in everyday life. Our group is our baby, and we love the community that is has created. We do not allow negativity or food policing, we feel the best way to help the community to remain positive and upbeat. We pre-screen every member joining the group to try to eliminate excessive spam or advertising. We also feel it is important for members to understand it is not as easy for some as others. We have had our fair share of issues ranging from food addiction to regain to anxiety. We will never be the ones to say you will not hit bumps in the road or shame you for stalling. Weight loss surgery is hard, and we do not all meet our goals within 8 months and that is ok! We all have individual journeys and issues, and we all need understanding and support. 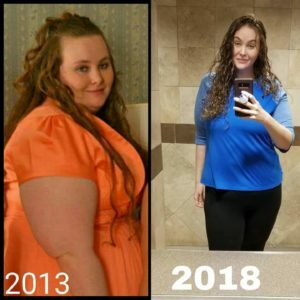 For the members who find they are struggling we created Challenge Group, where they are provided a TON of content to help them be successful on their weight loss journey. Our admin team is also a family. We are all very close and invested deeply in each other and rely on each other to provide support in our own lives. What motivates you to donate such a large portion of your time to the bariatric community? We feel there is a distinct lack of emotional and psychiatric care after weight-loss surgery. Generally, a patient receives a few visits with a nutritionist and a visit with a psychiatrist and that is about it. Some cases are different, but the feedback we receive from the group seems to be very consistent. Completely changing your lifestyle, eating habits, and other components of your life is a very daunting task! We are confused about what to eat, how much to eat, is it normal to feel this way, as well as a full range of emotional swings. We have found the more support you receive the easier the process is, sometimes you just need to know that someone else feels the same way. We also work to break the stigma of bariatric surgery being the “easy” way out. Anyone who has endured the process knows this is anything but easy. We have also found a lot of other small businesses within the community that we have made lasting relationships with, that we love to support! For the members who find they are struggling we also created Challenge Group, where they are provided a TON of content to help them be successful on their weight loss journey. We have brought in a personal trainer, yoga instructor, mindset expert, and surgeons to do lives and provide useful information. In addition, we provide meal plans, accountability buddies, weekly group nutrition coaching calls, step challenges, healthy recipes, multiple giveaways, weigh ins and a lot more. We are currently working on our “Healthy Holiday” Challenge group and would love to have a lot of you join us. For more information please visit our Challenge Group on Facebook. Can you tell us about your experience in the bariatric community? We have found that our group has been very well received within the WLS community. Like anywhere else you will never be liked by everyone, but we try hard to support anywhere we can. We have also found a lot of other small businesses within the WLS community that we have made lasting relationships with, and that we love to support! We actually just spent 4 days in Anaheim California the Obesity Help Conference where we got to spend a lot of time with the friends we have made within the WLS community and meet a lot of our members. It was a blessed experience and we can’t wait until the next conference. We wholeheartedly believe the more resources and support available within the WLS community, the better off the community will be. Currently we are looking at our future and are excited to see what is holds. We never dreamed that our small community would grow to this size and reach as many people as it has. We would love to find a way to reach more women in a meaningful way and support them on their weight loss journey. We are exploring options of a Bariatric Women cookbook where we can share the recipes that we currently develop for the group. We are also currently working on revamping our website to contain more resources and recipes for our members. Ashley’s passion is food and finding ways to create healthy, bariatric-friendly food that tastes delicious, so anything we do will always include that! One thing is for certain, this group has brought us together and no matter where the group ever dissolves, we will always be grateful that we have each other! Who knew that two strangers, living 14-hours apart would be brought together to make a difference in this big, beautiful WLS community? We are ready for what the future may hold, and hopeful that the group will continue to flourish. If you are not currently a member of Bariatric Women’s Support we would love to have you. Please join us!